Carraro Nespresso® Compatible Coffee Capsules, Starter Pack Blend,10 x 10 per case. Packaging: 10 capsules per carton, 10 cartons per outer box. 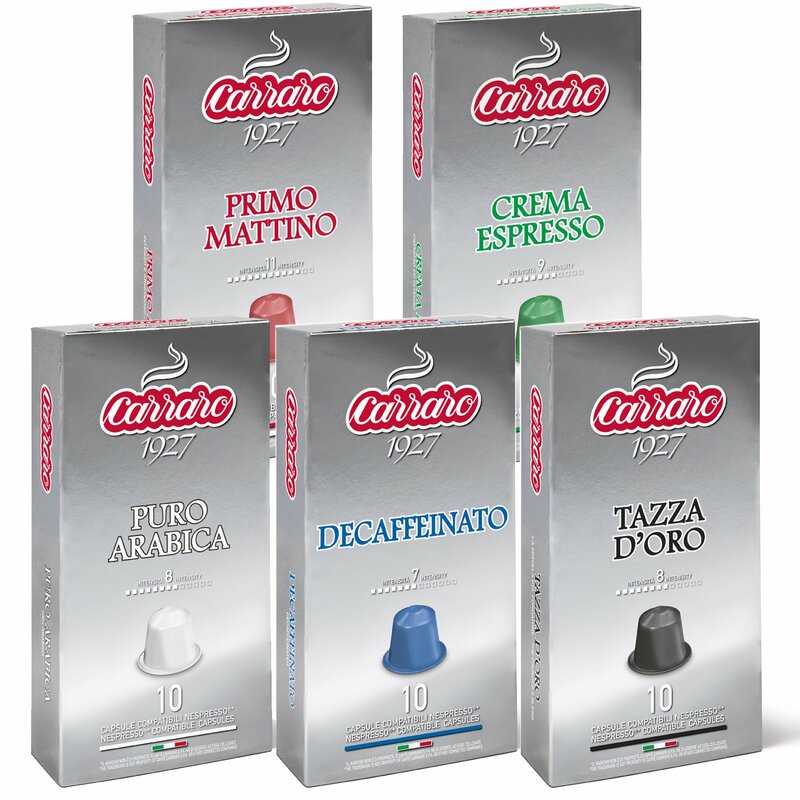 Carraro Nespresso® Compatible Coffee Capsules, Pure Arabica Blend, 10 x 10 per case. Carraro Nespresso® Compatible Coffee Capsules, Tazza D’Oro Blend, 10 x 10 per case. 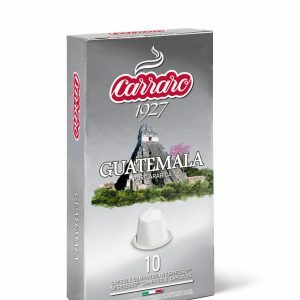 Carraro Nespresso® Compatible Coffee Capsules, Guatemala Single Origin, 10 x 10 per case.